Samsung’s 2011 Galaxy Player 50 rips off Apple Maps app from 2007 iPhone / iPod touch. Official Samsung website for Galaxy Player 50 has a slightly modified version of the Apple iOS Maps app. Apparently, Samsung doesn’t know (or care) that although the Apple’s Maps app uses Google maps data, the user interface is designed and copyrighted by Apple since 2007. 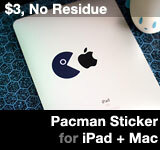 No wonder Apple wins injunction in Australia and Germany. Fandroid drones, what excuses do you have now? Still think Samsung using Apple’s App Store and Safari icons is an “accident”? 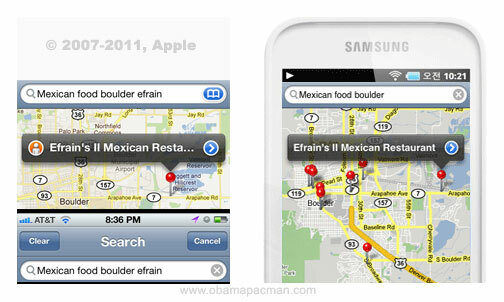 UPDATE: DF points out that Samsung stole its Galaxy product image directly from a 2008 screenshot of iPhone Maps app. [Discovered by @raruler via Daring Fireball] ObamaPacman made a page freeze. This entry was posted on Monday, October 17th, 2011 at 10:46 pm	and is filed under Samsung, iPhone. You can follow any responses to this entry through the RSS 2.0 feed. Samsung frankly is just pathetic! Seems that Samsung really wants its products banned. 1. Communism (aka lack of property rights) Failed. 2. This is not about patents. It’s about copy paste plagiarizing (aka counterfeit). 3. Patents actually enable innovation. Why would any company invest any money into R&D, if other companies can just copy their finished products. Capitalism and current patent laws allow competition, companies just can’t copy paste a competitor product. Nope. In reality, the image was on Samsung server for months. Not hoax but a deliberate attempt at copying Apple.